Brighton High School, home of the Cardinals, was one of the stops we made during our recent trip to Memphis, Tennessee. We spoke to high school students about the many career opportunities available within the transportation and logistics industry. 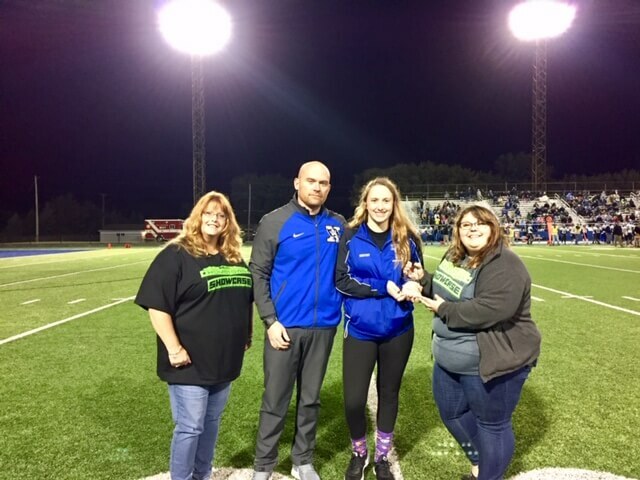 That evening during their Friday night football game, we were honored to present our student achievement award to a very deserving student, Kimmey J.
Kimmey J. with his family after being awarded the Hometown Showcase Achievement Award. In addition to his outstanding character, Kimmey is a leader on the Brighton High School baseball team where he encourages younger players to perform better and fight through adversity. We asked Kimmey about the personal attributes that set him apart from the rest of his classmates, and he said his generosity and the fact that he is always willing to go out of his way to help others. 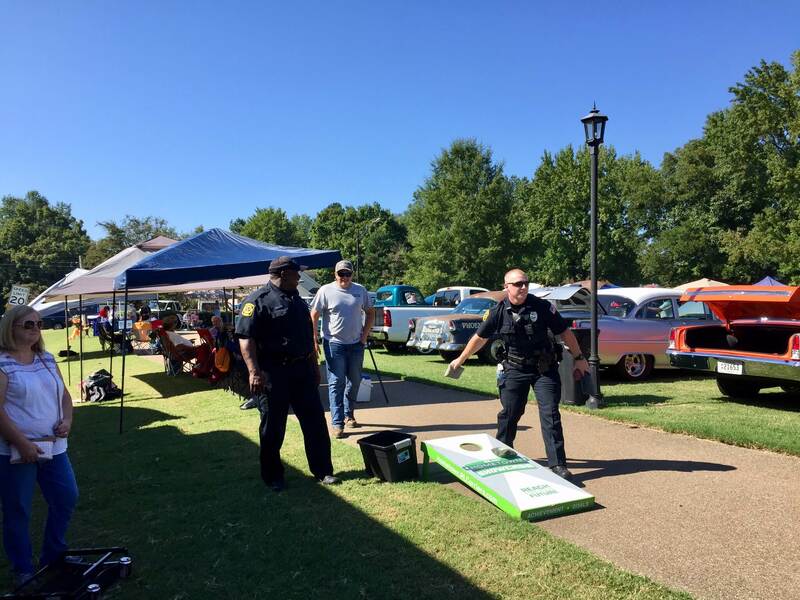 For example, he described a time he saw an elderly woman struggling with her grocery basket and how he rushed over to help her unload her groceries. This is exactly the kind of giving heart Kimmey demonstrates on a daily basis. His leadership, positive attitude, and friendly personality are qualities that will help him be successful in the future. We’re proud to be able to acknowledge Kimmey and the character he possesses. R+L Carriers Hometown Achievement Awards are an opportunity for teachers and administrators to acknowledge students who make a difference in the classroom and within the community. This award highlights individuals who demonstrate sportsmanship, academic excellence, exceptional character and commitment to their community. Congrats Kimmey! 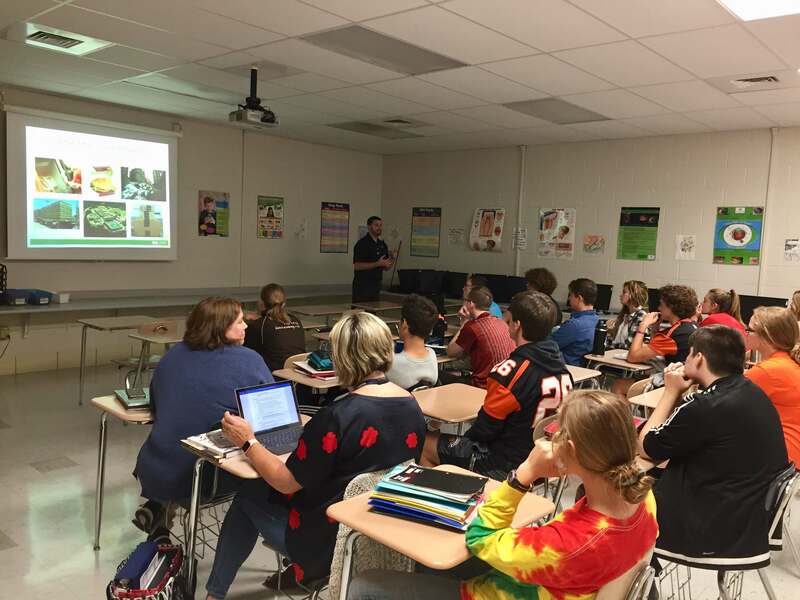 The R+L Carriers Hometown Showcase recently kicked off the 2018-2019 school year at Waynesville High School in Waynesville, Ohio where our team gave a presentation on Supply Chain Management (SCM), and the global freight and logistics industry. Our team grows increasingly excited to share the vast employment opportunities available within the logistics industry with students headed to college and those who plan to immediately enter the workforce. As part of our visit, we were honored to be able to present our Student Achievement Award to a very deserving student, Kenna. 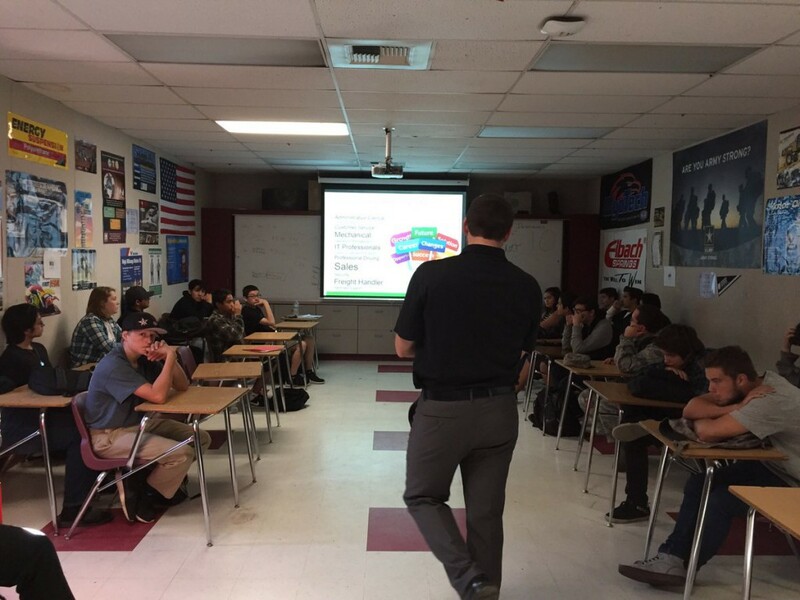 Our R+L Carriers Hometown Showcase team gave a presentation on Supply Chain Management (SCM), and the global freight and logistics industry to Waynesville High School students. 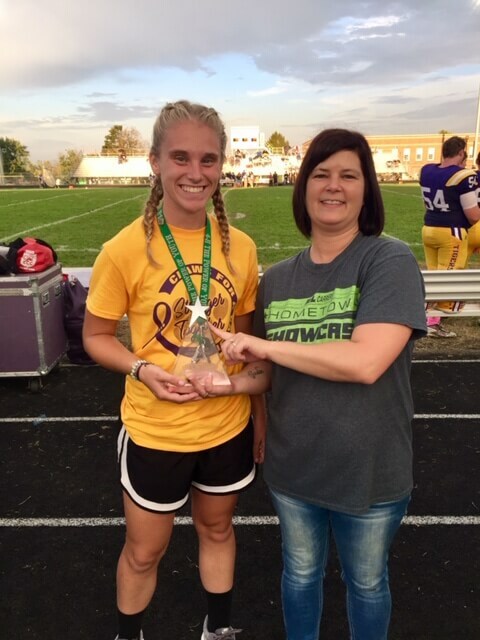 The Hometown Showcase Achievement Award presented to Waynesville senior Kenna H. during the game was an exciting moment that she was able to share with classmates and fellow community members. 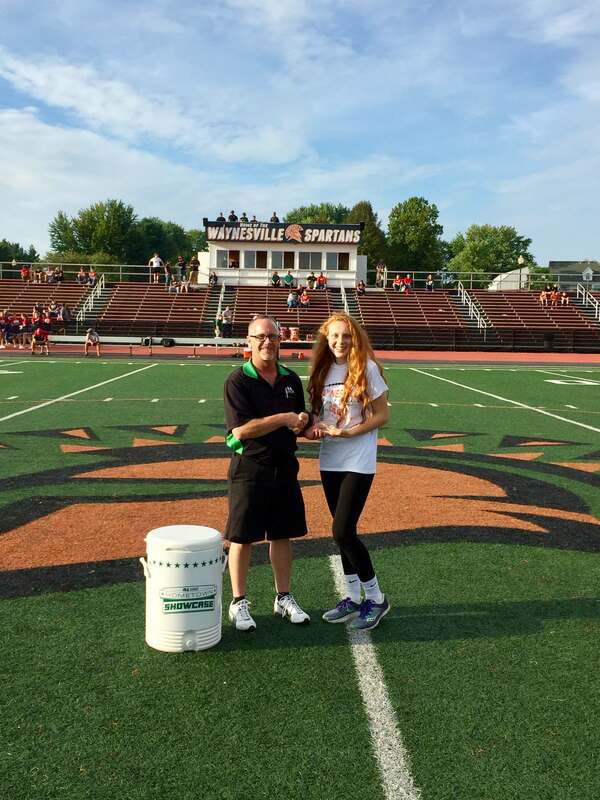 Waynesville faculty member, Abby Shinkle nominated Kenna because she consistently demonstrates exceptional sportsmanship, character and community involvement. The biggest influence in Kenna’s life is her mom because she inspires Kenna to do better in both school and sports. Kenna asserts that her mom, who was also an athlete in high school, is her biggest role model. Kenna has been a member of the volleyball, cross county, basketball and softball teams throughout all four years of high school. We asked Kenna about a meaningful event in her life and how that experience could influence her future. Kenna told us that working with kids for her church every Sunday has taught her patience, a quality she can certainly apply in future endeavors. R+L Carriers Hometown Achievement Awards are an opportunity for teachers and administrators to acknowledge students who make a difference in the classroom and within the community. This award highlights individuals who demonstrate sportsmanship, academic excellence, exceptional character and commitment to their community. If you know someone in your school that deserves to be nominated, contact us today for more information. A primary component of the R+L Carriers Hometown Showcase is investing in the future of high school students across America. 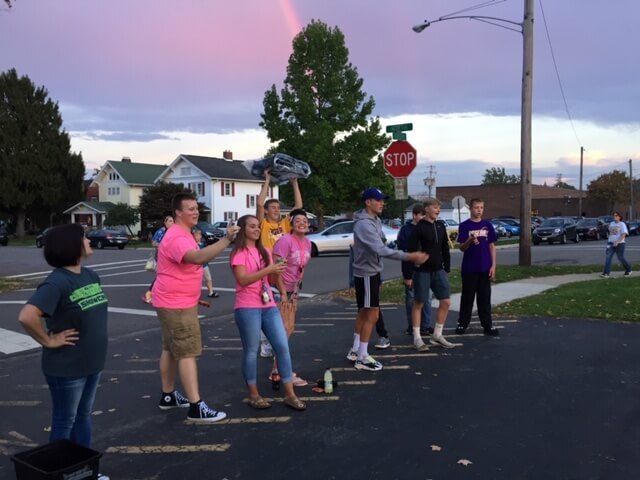 One way we support our mission is by providing college scholarships and career opportunities to students at the institutions we visit, and the special events that we attend. We believe continuing education and specialized training is critical when preparing for the future. 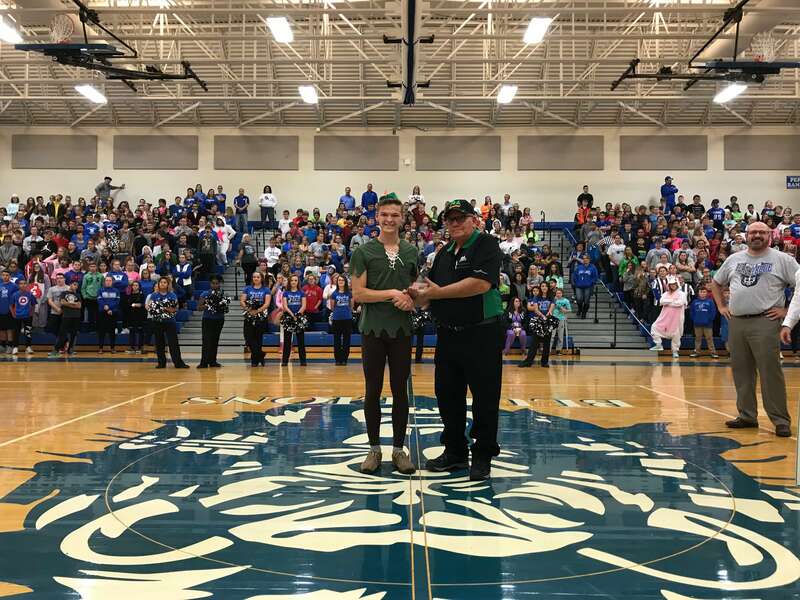 On January 26, 2018, the Hometown Showcase arrived at Fairfield High School located in Leesburg, Ohio. The Fairfield High School motto is “ Excellence, Preparation for Life, Opportunities for All.” This reminds students that the effort they put into their education from the beginning of each day, of each school year, will reap rewards later in life. The Hometown Showcase advocates the very same and believes that we are champions of our own success. We quickly realized the connection we had with the students, faculty, and staff. The Hometown Showcase could not be more pleased to partner with Fairfield High School for this initiative. Fairfield High School students Cody and Makenna were recognized for their outstanding for their work at school and in the community. Students were able to tour our interactive hauler throughout the day and our team was on hand to discuss career opportunities that exist within logistics and commercial transportation. 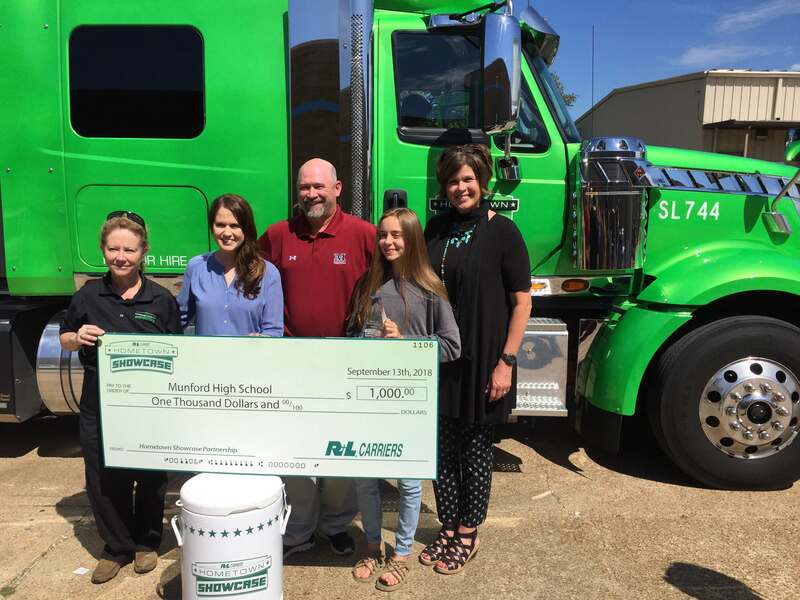 When most students hear about commercial transportation companies such as R+L Carriers, they quickly associate the entire industry with the truck driving profession. In reality, the logistics industry must leverage experts from numerous fields such as accounting, marketing, mechanics, IT and sales. This past December, we had the opportunity to see Fairfield High School Boys Varsity Basketball participate in the Ohio Valley Hoops Classic. 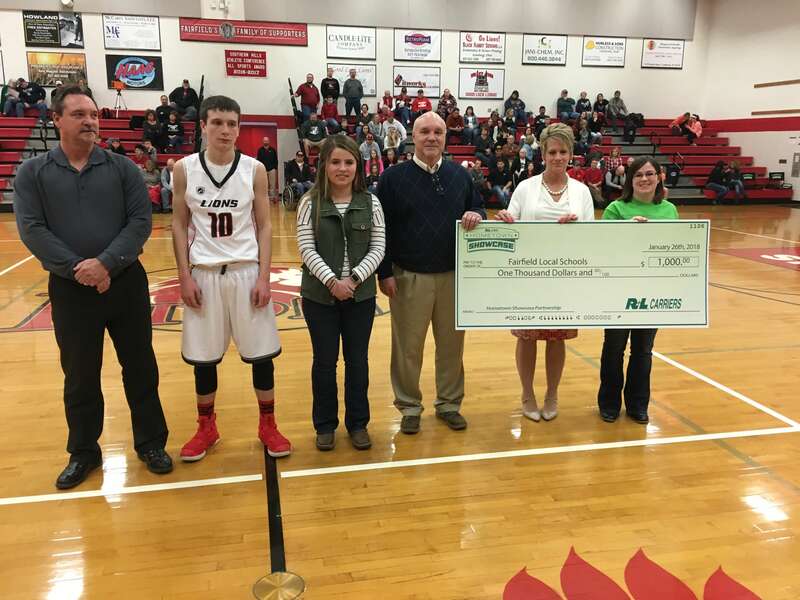 During our visit to the school in January, we were able to watch the team play again and at halftime, we presented two students with the Hometown Achievement Award and a $1,000 Scholarship. 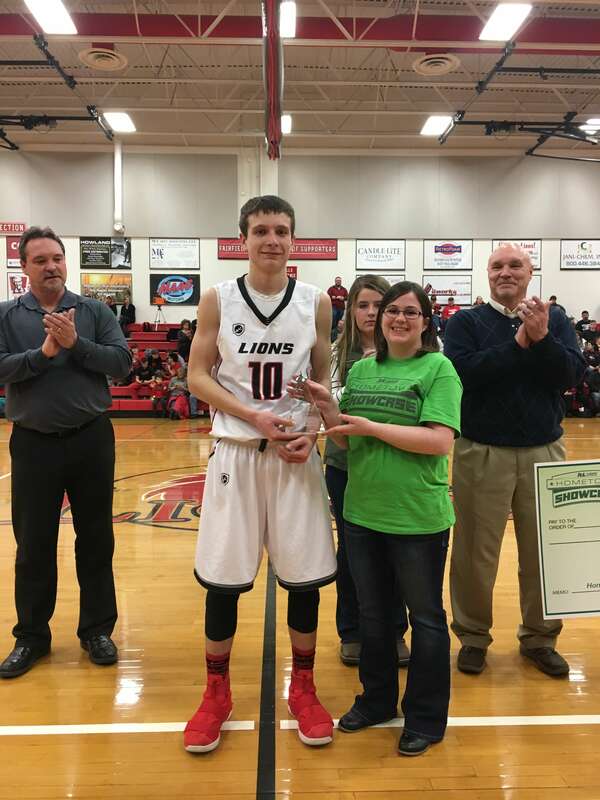 Cody G received the Hometown Achievement Award. Cody is a senior at Fairfield and has played baseball and basketball for four years. He also volunteers to assist in maintaining the baseball fields at the school. 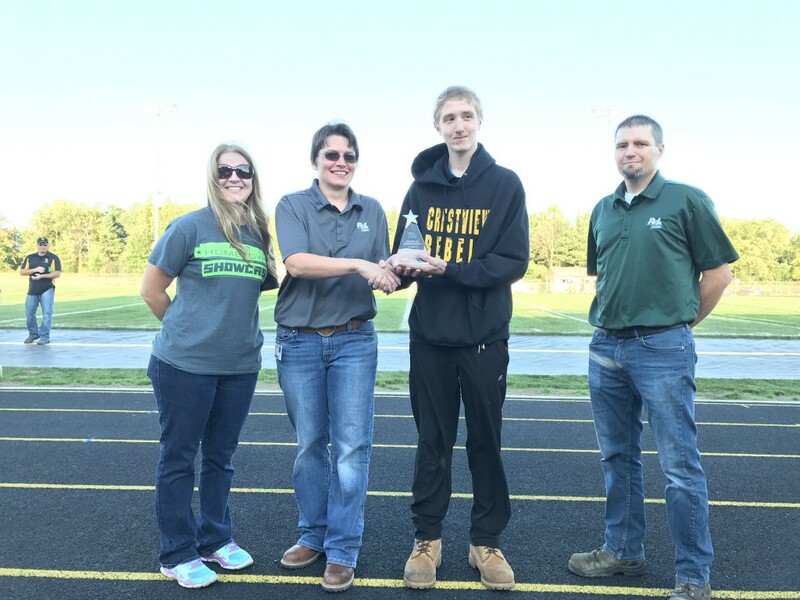 Cody displays excellent sportsmanship, assists in numerous community and school-related activities and has always been a leader in his actions and words. Congrats, Cody! Makenna L was the Hometown Showcase Scholarship recipient. 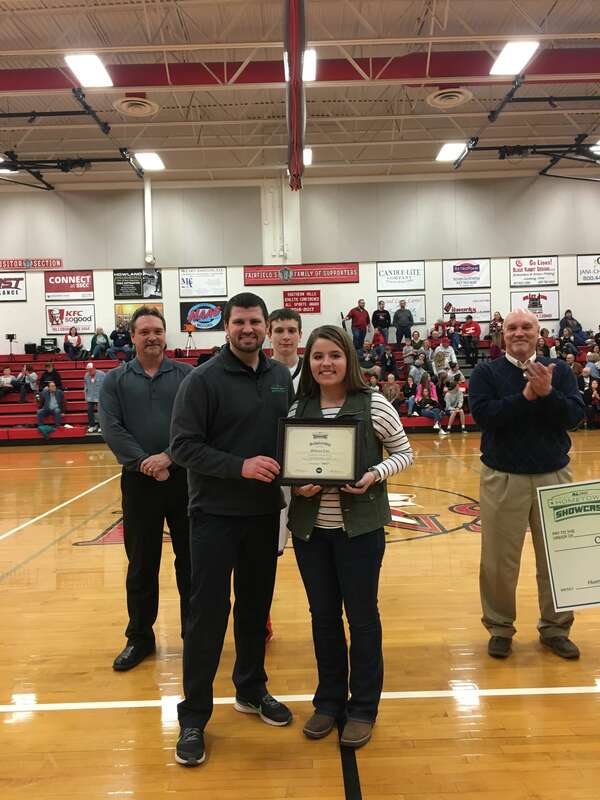 Makenna was the recipient of the $1,000 Hometown Showcase scholarship. 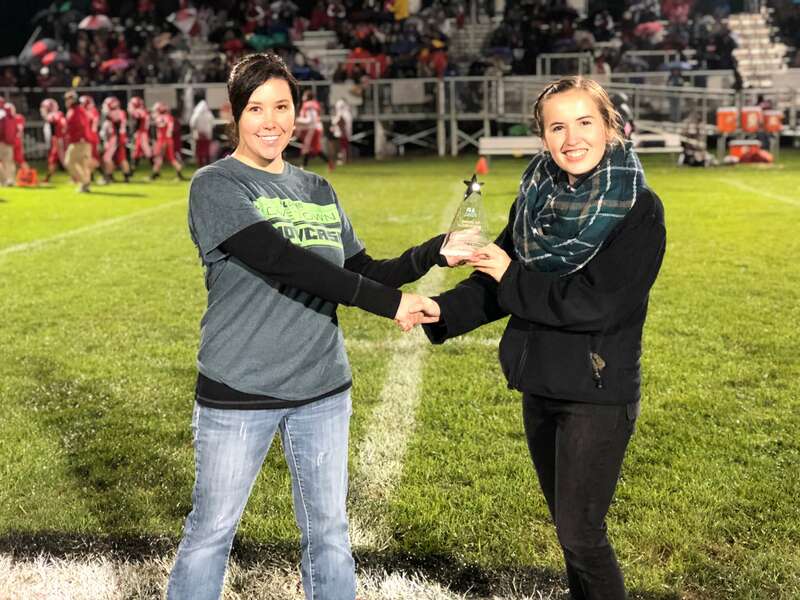 She is a senior at Fairfield who plans to attend Northern Kentucky University and pursue an education degree, with an ultimate goal of becoming a social studies teacher. Makenna has been on the Gold Team, in National Honor Society, student council, band, yearbook staff and works with the athletic department. Congrats, Makenna. Achievement and scholarship recipients are not required to be athletes, but they must demonstrate outstanding qualities that contribute to making their community special. If you would like to nominate a student in your community who deserves recognition for outstanding achievement, contact us today! 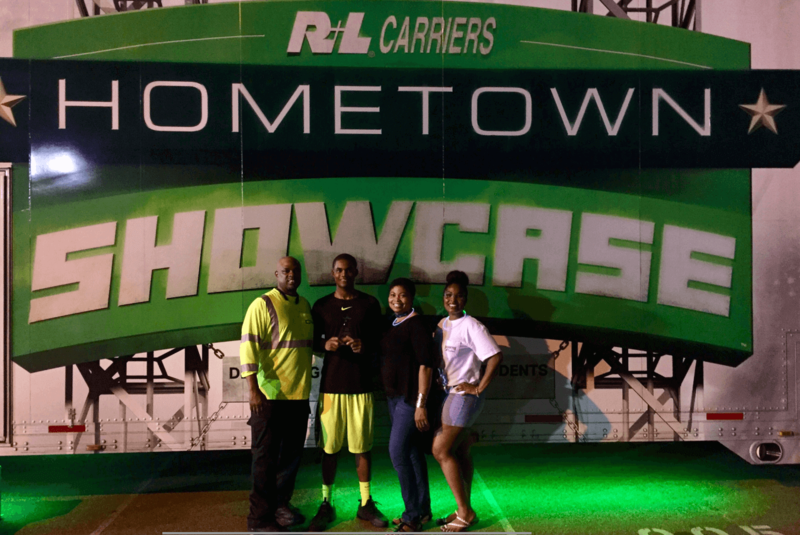 The R+L Carriers Hometown Showcase headed west during the first week of November, traveling to three area high schools in three days. 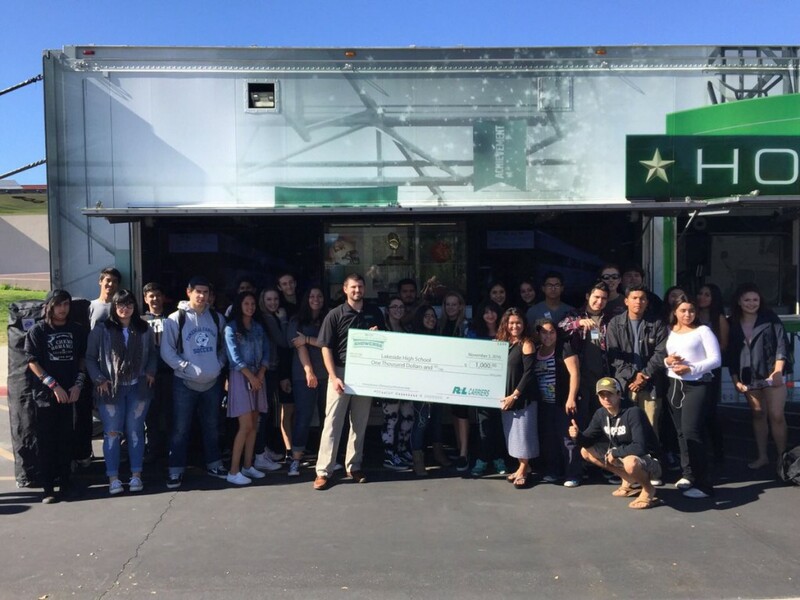 Elsinore High School, Lakeside High School, and Temescal Canyon High School all experienced the Hometown Showcase and learned more about the logistics industry. R+L representatives started the day bright and early with the California sunrise, which was beautiful by the way. Check out our pictures on Facebook and Instagram. Our presentations incorporated the definitions of logistics, transportation, and supply chain. We talked to students about how their life would be different without all three. Some students were surprised that without logistics and transportation, many of the clothes and accessories they love would not be able to make it to them for purchase. 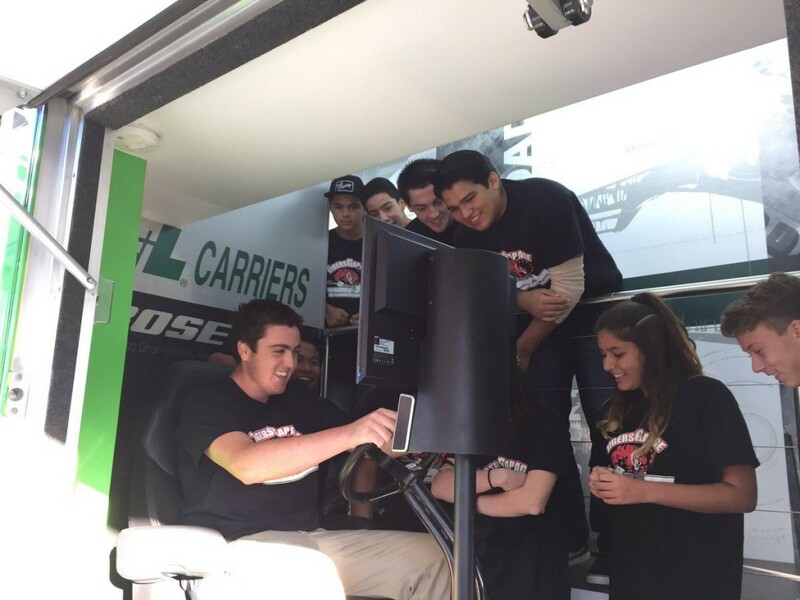 Our 53-foot interactive hauler gave students the opportunity the experience the logistics industry up close. Inside the trailer, students could watch up to 11 HD displays about the various career opportunities with R+L in the shipping industry, as well as see some of the additional work that R+L does in the community through the Lima Company Memorial and the R+L Carriers New Orleans Bowl. Always one of the favorite parts of the trailer on every stop is the technologically advanced Bose Ride seating simulator, which gives riders a chance to feel what it’s like to be behind the wheel at R+L Carriers as a driver. Caleb from Elsinore High School and Alex from Temescal High School both received Hometown Showcase Achievement Awards. 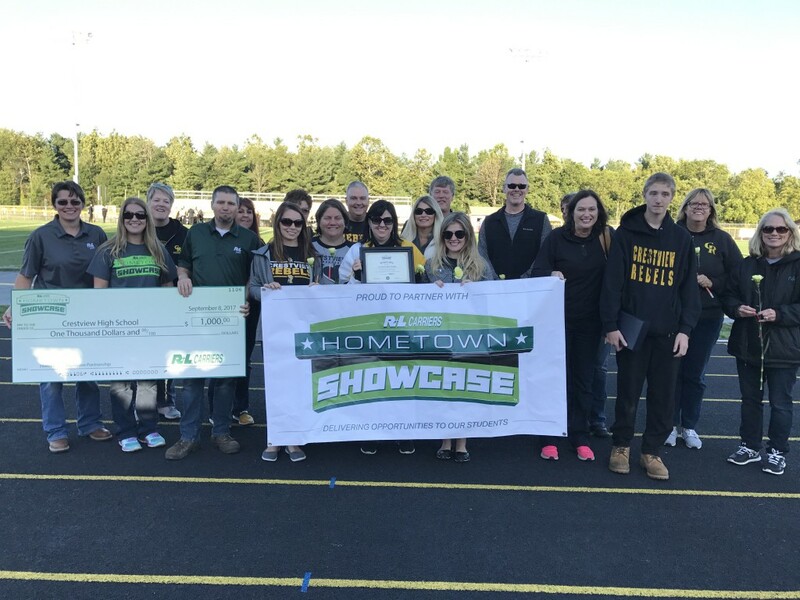 The R+L Carriers Hometown Achievement Award is an opportunity for teachers and administrators to recognize students that make a difference in their school and community. This award showcases a student who demonstrates sportsmanship, academic excellence, exceptional character, and a commitment to their community. 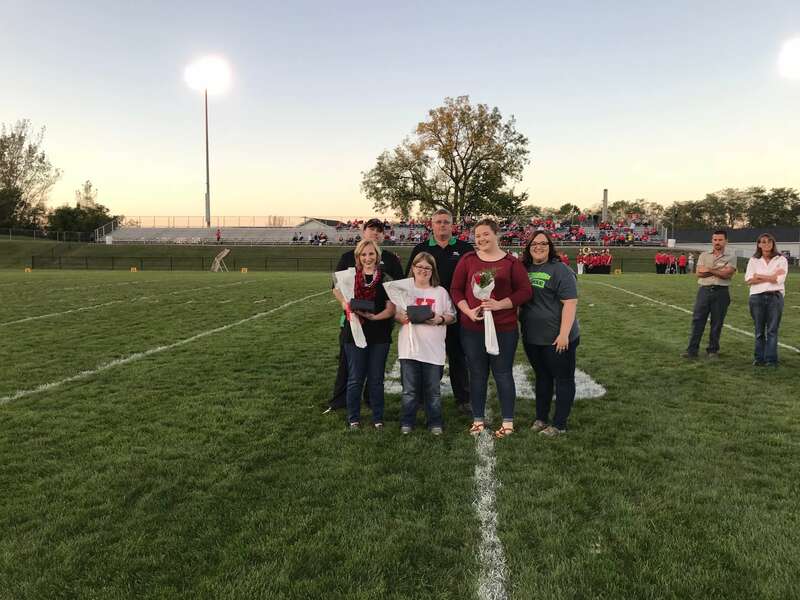 All three schools received a $1,000 scholarship that will be awarded to a graduating senior upon graduation and a $1,000 donation to support the school and their students. Interested in having the Hometown Showcase come to your school? We are actively scheduling events around the country. Contact us today for more information.